As 2018 nears its end and summer takes hold, Joburg’s restaurant scene gets Mediterranean fever with the suburbs welcoming new Italian, Greek and Middle Eastern restaurants and a little farther afield, a pop-up restaurant brings a Mediterranean harvest table feast to the Nirox Sculpture Park. Meanwhile James Diack continues to innovate with new sustainable fine dining dishes at Coobs and a summery new bistro is set to open in a park in the heart of Sandton. Here’s our round up of the latest Joburg restaurant news that every local foodie should know about. Named after the mile markers in Namibia’s Swakopmund Post Office where he grew up, star chef David Higgs’ beautiful new cookbook Mile 8 is an intimate autobiography of a chef’s life, chronicling his success and failures starting from the first meal he cooked to favourite recipes from restaurants like 500 at The Saxon (pictured top Lamb rump, mebos and pumpkin fritters). In the wake of his successful book launch at his Rosebank restaurant Marble we sat down with the chef to talk all things food. Read our interview with David Higgs here. 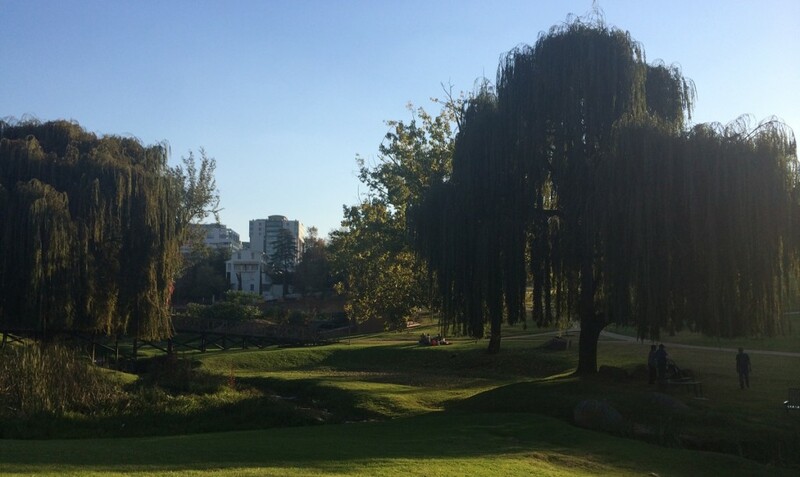 Throughout the summer the glorious Nirox Sculpture Park is open to the public every weekend. Admission to the park costs R100 or R50 for kids (we recommend you book online in advance) and as well as the opportunity to explore this beautifully landscaped park and its contemporary art sculptures you can also now get lunch at the delightful pop up Nita’s Kitchen. The cafe serves, breakfast, tea and cakes, has a full bar and operates a harvest table lunch of Ottolenghi style salads and bowls, oven-fresh focaccia, Mediterranean mezze and a selection of aromatic meats. The park is open 10:00-16:30 on weekends and public holidays, breakfast is 10:00-12:00 and lunch from 12:00-15:00. James Diack is Joburg’s champion of sustainable restaurant practices, sourcing almost all the ingredients used in the menus at his four Joburg restaurants from his family’s organic farm Brightside in the Magaliesberg. 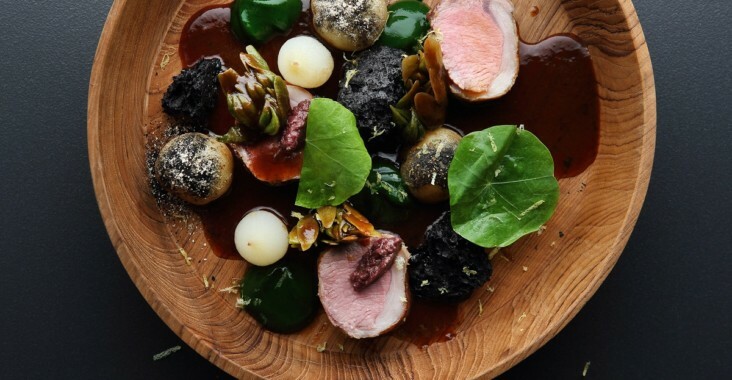 At his flagship contemporary restaurant Coobs on Parkhurst’s 4th Avenue Diack and his team are debuting a host of delicious new dishes that push the dedication to sustainable fine dining even further. Highlights include ‘root to tip’ dishes that ensure every single part of the vegetable is used (we loved the carrot arancini with roasted carrots and a chevril and carrot leaf pesto), inland fish and unusual grains (try the pearl barley risotto with fresh water crayfish and farmed trout) and for the sweet tooth, desserts featuring beetroot ice-cream. We first got wind in August that 1990s Yeoville darling Ba-Pita was coming to Melville and now after a lengthy wait, Ba-Pita is said to be gearing up to finally open on 7th Street at the end of this month. Meanwhile in Hyde Square and neighboring Hutton Square in Hyde Park two new restaurants have opened, also run by experienced hands. 1920 Portuguese serves the same delicious traditional Portuguese food that has made their Randburg branch iconic (the rustic Caldeirada fish stew is highly recommended) while Zio La Famigilia in Hyde Square, is the newest offering from Alessandro Mosupi Khojane, the same brilliant mind behind Gemelli Cucina Bar. And in Parkhurst, the new Kolonaki Greek Kouzina (named after the Greek luxury shopping neighbourhood Kolonakiis) is already gaining huge popularity, quickly rising to Tripadvisor’s Top 10 Greek restaurants in the city – bookings are highly recommended. Happy Wednesday! We’re open from 12 midday ☀️ until 12 midnight 🌑 until Saturday. See you soon! Yet another exciting new bistro and bar is set to open in the heart of Sandton before the end of the year, in a purpose-built pavillion inside Sandton’s Mushroom Farm Park. The inspirations behind the fresh, seasonal menu at Truffles on the Park include ‘the local farmer’s market’ healthy eating and every day classics. Open for breakfast, lunch and dinner, the new bistro will also boast a ‘botanical bar’. Joburg’s latest speakeasy-style bar J Rabbit has landed in Illovo Junction, occupying the space that was once The Griffin gastropub. The venue is part laundrette, part tequila bar, with the ground floor space housing a (functioning) laundrette with ironing service that goes by the name CML Laundry (the initials a cheeky reference to Cartel money laundering). The craft tequila bar upstairs is accessed via a door disguised as a washing machine (yes really) and serves what is said to be the biggest selection of premium and craft tequilas in South Africa. Open Wednesday to Sunday, the bar plans to host early DJ sessions and also has a small craft rum bar on the balcony facing the street.